These new aircraft will join the existing 155 E-Jets currently owned by NAC, Embraer is the world’s leading manufacturer of commercial jets up to 150 seats. 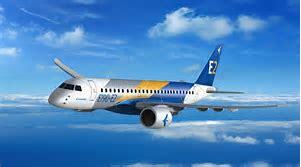 The Company has 100 customers from all over the world operating the ERJ and E-Jet families of aircraft. For the E-Jets program alone, Embraer has logged almost 1,800 orders and 1,400 deliveries, redefining the traditional concept of regional aircraft.